Loosen Up. | Raw & Unearthed. By now you will know I like to get straight to the point. To say it how it is. To be honest, raw and yes, I will admit at times controversial in my suggestions and opinions. Today I am going to tell you all to do something, that you may not like. It may leave you confused, concerned and possibly offended. So here goes nothing….. There I said it. Go on, I dare you! Double dare you. What does she mean? She is a complete nutter!- I can hear you all shout. While I will leave you to decide on your own whether I am in fact completely nuts, I will however help you to understand what I mean when I say “loosen up”. When did we all become so up tight? Wound up? Commercialised? Consumed? Competitive? Lets start from the beginning…way back in once upon a time land. Once upon a time there was a world where children climbed trees, rode bikes, built cubby houses, all without a parent in sight. Children were engaged, happy, motivated, excitable, social and imaginative dreamers. Although this world still does exist, unfortunately it is shrinking due to global x-box warming. Once upon a current time children climb only onto their lounges to sit and stare at the TV, they ride virtual motorbikes, (or those bikes with the parent handle stick on the back). They build virtual mindcraft designs and play at public playgrounds surrounded by 5 inches of rubber matting while parents hover like helicopters close by. Children are anxious, irritable, moody, demanding and overstimulated. Parents want the best for their children. The latest gadgets, the best technology. While these devices may be considered, ‘cool’ or ‘on trend’, at what cost are they to our children’s childhood? It’s been said before, ‘Children aren’t going to remember their best days of TV’, they will remember the wind in their hair, the feeling they experience when they jump off the rocks and splash into the water, the skinned knees, the creations and constructions they built with their hands, the textures, the smells, the feelings…..these all create memories. The only thing they will get from staring at a screen all day is probably a sore neck and strained eyesight, not to mention the lack of social skills. So I ask you again, loosen up. Loosen up on the competitiveness of having to have the latest gadgets, technology and biggest TV. Loosen up on the rules, let your children have some wild and free time outdoors. Loosen up on the commercial purchase of ‘toys’, let them create, imagine and develop their own play scenes. Loosen up with loose parts. The theory of loose parts was developed by Simon Nicholson. 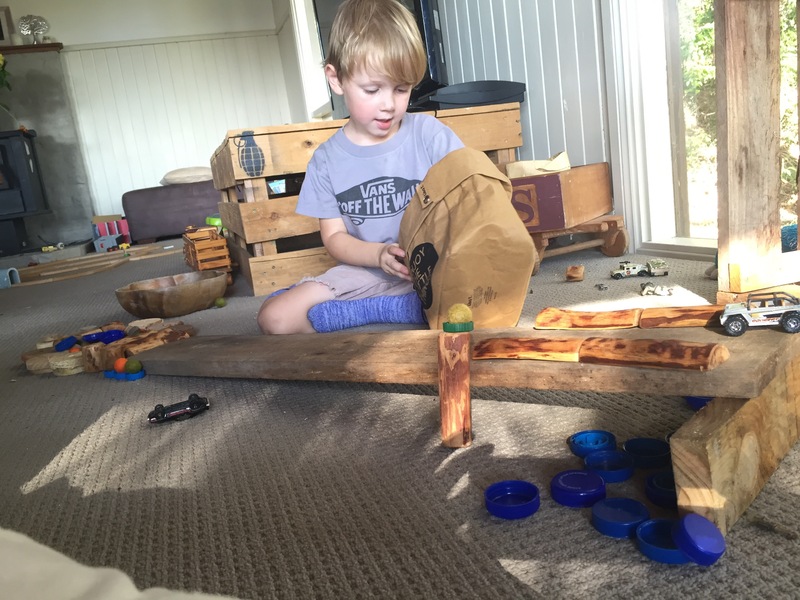 As an architect himself, he understood the importance of loose parts for design methodology. Relating this concept into children’s play, it allows them the freedom to create, design and establish their own ideas for play. Like our own concept of ‘Raw & Unearthed Play’, it allows children the freedom to lead their own play using imagination. 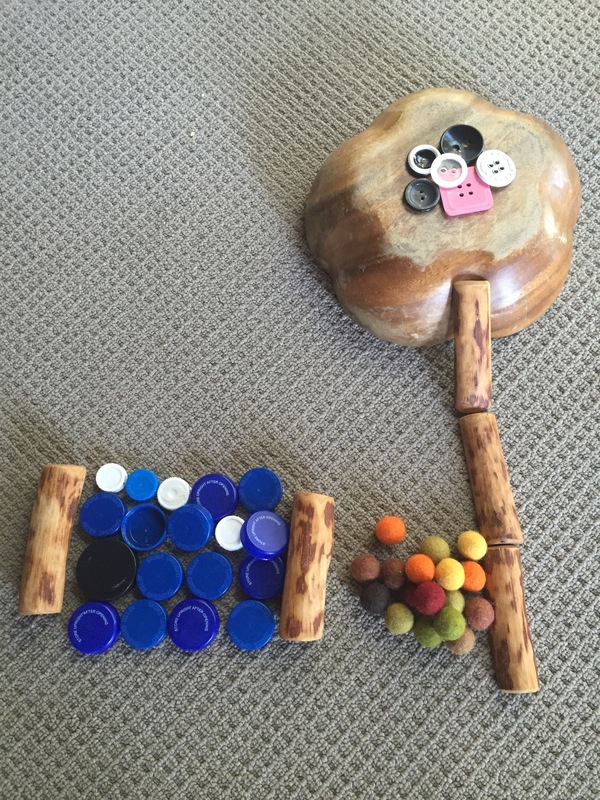 Loose parts refer to objects that can be used in various ways, also referred to as open ended materials. They can be moved, changed, added too and when combined with an unearthed imagination, they can become anything the child wants them to be. 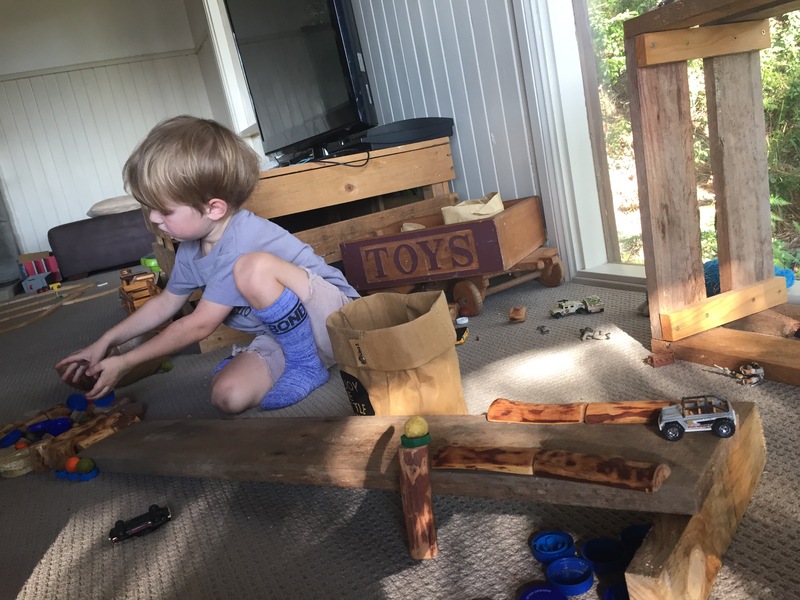 They can be used to design and create play spaces independently by the child, spaces naturally evolve and emerge during play. Loose parts are messy, beautifully chaotic. When you look deeply beyond the first impression of mess, you can see a glimpse through the eyes of the child into their world. FYI my lounge room is currently a zoo, there are pillows, planks of wood, blankets, baskets, small tables, skateboard decks and animals everywhere. I am a bit nervous the tigers will escape….although their enclosure looks nice and secure with….wait, is that my slipper in a cage? Loose parts can really be anything! Rocks, sticks, felt balls, bottle tops, pine cones, logs, seed pods, baskets, flowers, dirt, sand, grass, shells, buttons, boxes, material and more! 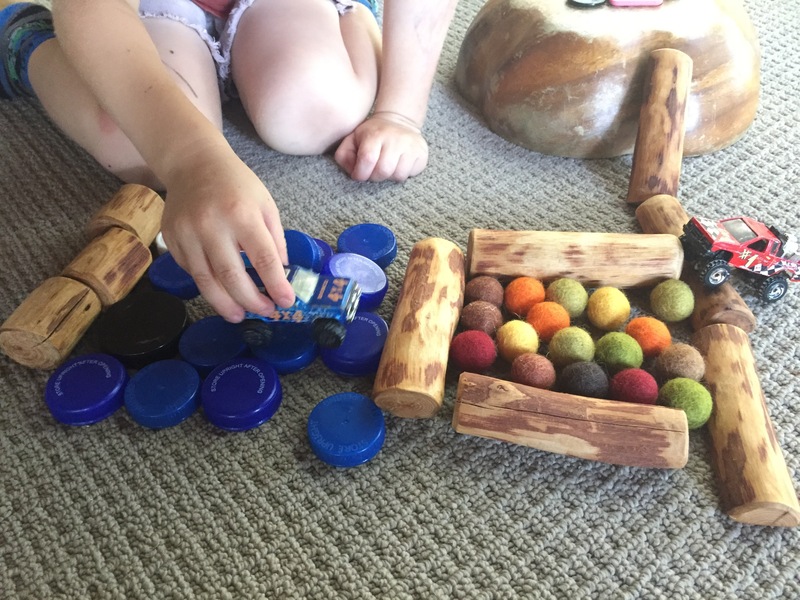 A great bonus when promoting loose parts for play is that it is inexpensive and the open-endedness of the resources offer so much more than single use plastic commercial toys. As you make the shift to change what you are offering the children, you don’t even need to label it. 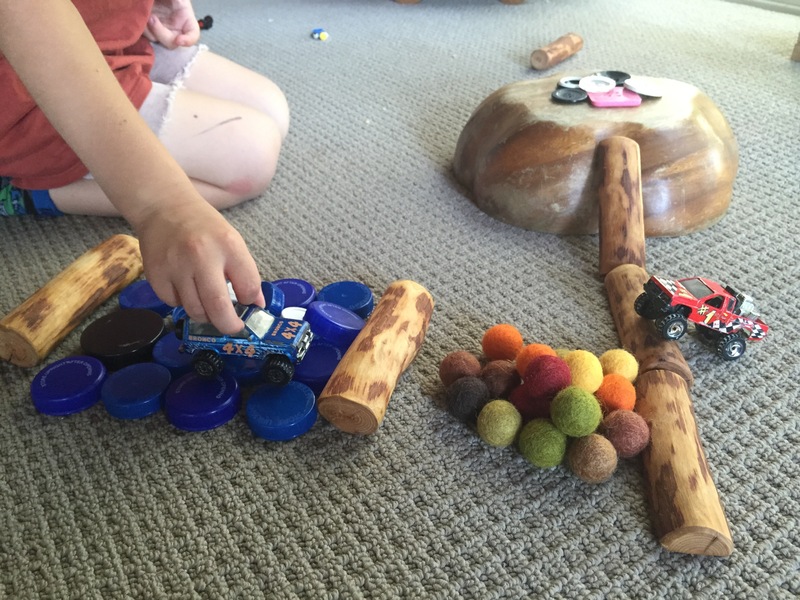 Just provide access to a variety of loose parts and watch the magic happen. Within a natural bush setting, most things are readily available to play with and can be left in the environment once play has finished, Leave no trace is a very important aspect of play in wild spaces. Other items can be collected over time to add to Early Childhood play environment or at home. You don’t really know how much milk your family goes through until you start collecting the lids! Below are some photos I took while my son, Lakyn played at home. He is an avid adventurer, who loves riding motorbikes, 4WDing, skateboarding and BMXing. 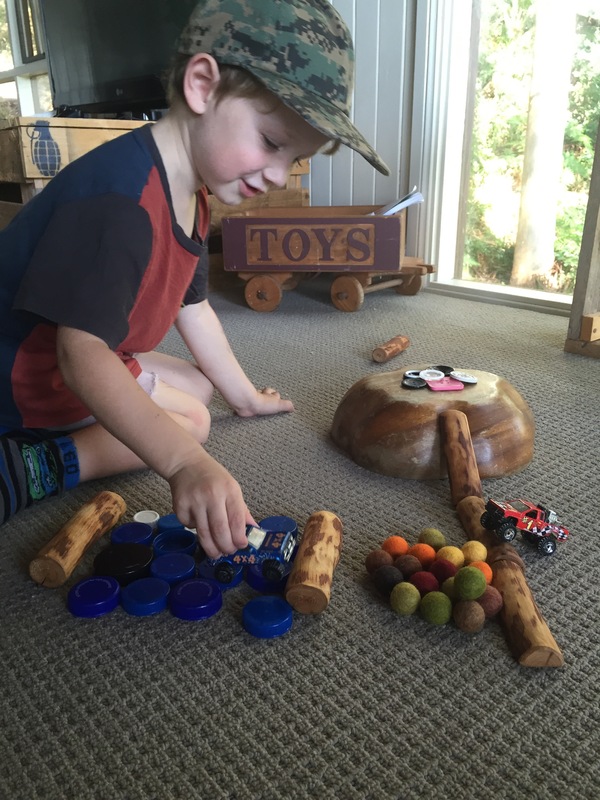 His interests naturally arise during his play as he builds skate ramps, 4WD tracks with mud, rivers and bridges. 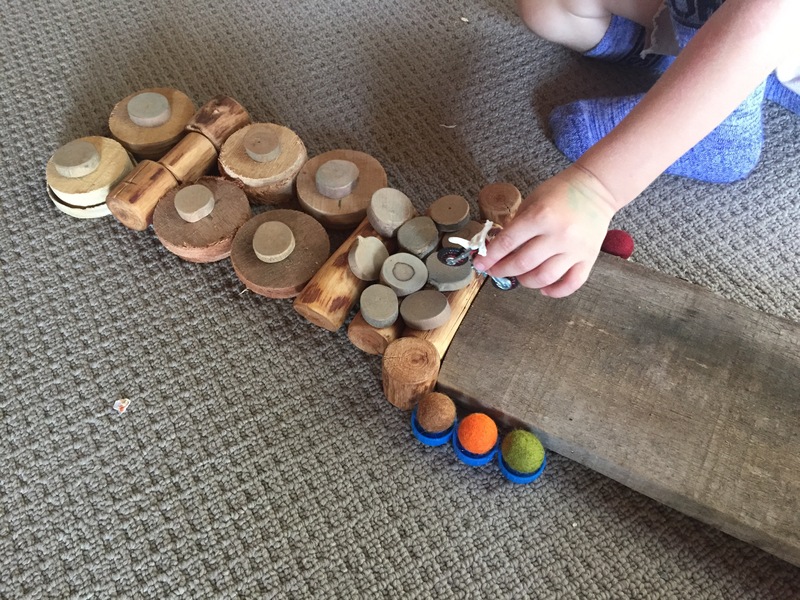 By having access to a variety of loose parts, he is able to apply is own ideas, adjust and redesign them as well as extend his own ideas over time. The extent of his learning outcomes and opportunities are huge………trial and error, symmetry, patterns, imagination, creativity, persistence, dedication, more mathematical concepts, speed, incline, counting, finger dexterity, imaginative play, creative play, loose parts play………….I could never list them all and I really don’t think it’s necessary. The most important thing to note is that he is playing and that in itself is enough. Play is what it is, play. No fancy label needed. This entry was posted in Uncategorized on April 27, 2016 by raw & unearthed.